One has come to expect a lot from David Dhawan since he was crowned Bollywood´s comedy king giving us such gagbags as Hero No. 1, Judwaa and Coolie No. 1. 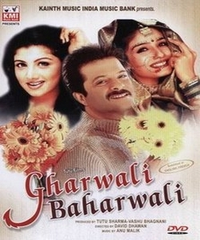 But the sad truth is that Gharwali Baharwali is certainly not his best work.